One of the people who had assumed the role of keeper of this bit of history for Wikipedia quoted the Web site’s “undue weight” policy, which states that “articles should not give minority views as much or as detailed a description as more popular views.” He then scolded me. “You should not delete information supported by the majority of sources to replace it with a minority view. “The “undue weight” policy posed a problem. Scholars have been publishing the same ideas about the Haymarket case for more than a century. The last published bibliography of titles on the subject has 1,530 entries. “Explain to me, then, how a ‘minority’ source with facts on its side would ever appear against a wrong ‘majority’ one?” I asked the Wiki-gatekeeper. 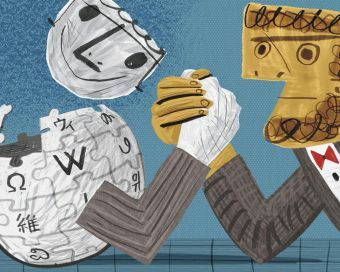 via The ‘Undue Weight’ of Truth on Wikipedia – The Chronicle Review – The Chronicle of Higher Education.